Have you bought a MacBook Pro? If so, do you know when it was made? 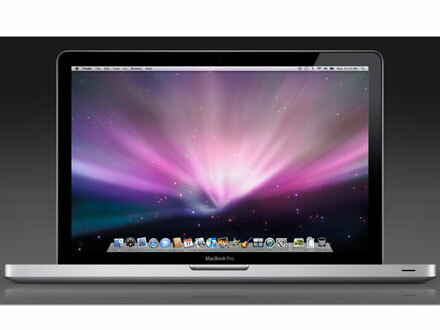 MacBook Pros made between April 2010 to February 2011 have black screen problems. They suddenly have screens go black or experience loss of video. So if you have a MacBook Pro go check it out, and if there’s anything wrong with it, don’t worry because Apple is doing everything they can to remedy the problem. There are two main ways on how you could remedy the problem and here they are. First off, if you notice that most of the problems that you are encountering or more of them start while playing videos, then here is a remedy for you. You must first update your OS to the latest version. If you do not update your Os to the latest version then you’re not going to be able to download and install the other upgrade that you need. After you have downloaded the latest OS upgrade, then you may now proceed to the next update that you have to download: MacBook Pro Video Update 1.0. This is the update that is said to remedy the black screen issues and video blackouts. Your problems should be remedied already after both of the upgrades, however if you’re still encountering problems, then don’t you worry because Apple’s help is not over yet. You can just call the Apple center near you to set an appointment, or you could just drive down there right now together with your MacBook Pro. Before doing so, it is advisable to back up your important files on a separate device first. You’ll never know what’s going to happen so it’s good to be prepared for anything no matter what, right? If you have secured copies of your important files then you’re good to go. For other problems and issues, it would also be advisable to have taped the problem as it happened, but for this one, there’s no need already. The apple team has a special diagnostic test to know if you’re MacBook is encountering the Black Screen issue. So they’re going to run this first, and if they are sure already that you are affected of the glitch then they’ll do everything for free. Yes you’ve read it right. Apple is offering the service to fix this issue for free, and this is going to be available for two years – even more depending on the number of affected. Keep in mind though that not video issues are connected to the black screen issue, where Apple is at fault. There are other video issues aside from this one, so even though we did tell you that the Apple service is free, if your video problem is not connected with this problem whatsoever then of course you’re also not entitled to the free service. This is also the reason why they use a special diagnostic test for this one. If you are having other video problems, then don’t fret because Apple still has a cure for that no matter what. Just remember to always update because sometimes these updates are the answer to your worst problem. Not all problems are user-caused. Sometimes there are just software problems waiting to be remedied by installing an update.